This week Dubai-based airline, Emirates has named Citizen Relations its Canadian PR agency of record following a competitive pitch process. The agency will handle all Canadian public relations activity for the company including media strategy and relations, sponsorship amplification, trade media outreach and crisis preparedness. 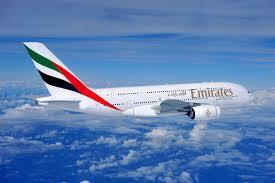 Since 2007, Emirates has been serving Canada with its three non-stop A380 flights per week from Toronto to Dubai. It also operates a daily Boeing 777-300ER service from Seattle, WA which serves the west coast.